Many of you probably don’t know that, at first, pajamas were worn on the street, not in the bedroom, during the night. Ok, I must admit that this happened in India where women and men used to wear some lightweight trousers fitted with drawstring waistbands. The word “pajama” comes from the Persian word “paijama” and means “leg garment”. When the English colonialists settled territories in the east, they considered the loose-fitting trousers and jacket very comfortable and used them around the house and for sleeping. Guess you imagine the rest and how come you are wearing them now, don’t you? 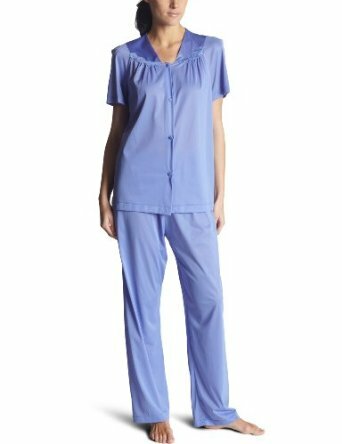 Little by little, pajamas conquered us all and hold the monopole over sleeping garments so the long night shirt used when going to bed is long gone and forgotten. PJs may be from different fabrics as long as they respect the rule of comfort: flannel, silk, satin, cotton, wool, all soft materials are more than welcomed. Due to their comfort, pajamas are worn with bare feet and even without underwear, so forget about office attire or high heels , put on some pajamas and just be natural, be yourself. In order to express your mood you can choose from a lot of designs and prints like: flowers, cute animals like puppies, kittens, rabbits, ducks, teddy bears, little fishes, whatever you desire, or maybe you enjoy having on your jimmies some balloons, polka dots, images from cartoons such as Tweedy the Bird or Hello Kitty. Also, you may want to wear a pajama with stripes, images of sports or favorite movie and so on. There are three types of PJs: traditional, modern and daywear. Traditional pajamas are a combination of trousers and jacket made of soft fabric where the jacket usually has a placket front and without cufflinks on its sleeves. 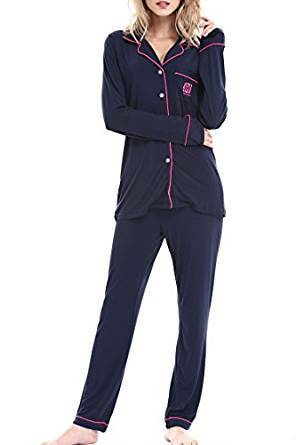 Modern pajamas are a derivation of traditional ones and have many variations like: one-piece pajamas, short sleeve pajamas, the ones which incorporate different materials, pajamas with trousers of different length and stretch-knit sleep apparel with rib-knit trimmings. Usually PJs distinguish from non-bifurcated sleeping garments like the night gown for example, but sometimes they include them as it’s the case of the baby dolls. Daywear pajamas as odd as they might seem to you (or maybe not? ), are made of soft materials, Lycra or polyester. They are designed also for comfortable usage, like the night pajamas but they are more appropriate for wearing on the street. – cotton pajamas with stars print – not only romantic but also practical by keeping you cool and dry during the hot nights of summer. No matter of your style, pajamas are a very comfortable and practical choice for sleeping time. And not only if I may add since I love lazing around in the late morning weekends still wearing a pajama with a cup of coffee in my hand, feeling nothing more than total relaxation.